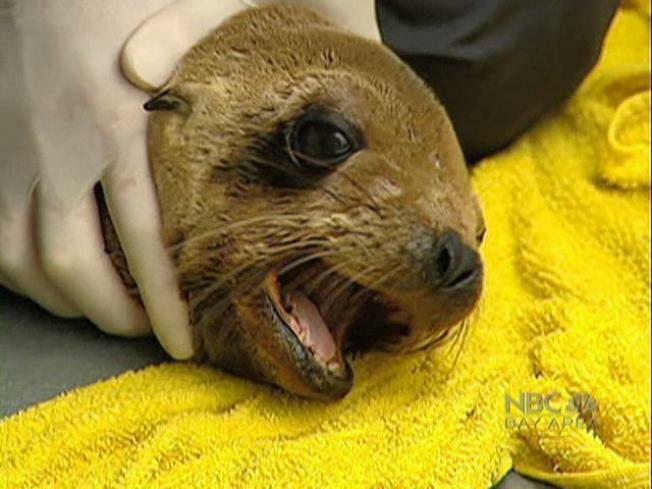 California vets are working to save sick sea lions. Scientists think the weather phenomenon El Nino may be to blame for making sea lions sick along California's coast. "The only time when I have seen that is when there’s no food. We've never seen this many rescues," the center's medical director, Dr. Richard Evans, told the newspaper. Now, we may finally know why. Climatologists are pointing the finger at El Nino. Marine biologists say surface water in the Pacific Ocean is warming up. That drives plankton and smaller fish deep into cold water, where sea lions can't swim, causing them to starve. El Nino is a temporary weather cycle that hits Southern California every seven years or so. There are roughly 240,000 sea lions living along California's coast, the Santa Cruz Sentinel reported.